This entry was posted on March 10, 2013 by admin. MedMar Healing Center is participating in a two-month study on the effects of Cannabidiol (CBD). In the first summary of the study results, patients who suffer from a range of pain-causing ailments reported a dramatic decrease in pain. The patients have been recommended “Veda Chews,” which consist of 30 mg of CBD, 30 mg of THC, and 30 mg of THC-A. The two-month study being conducted is free. Its goal is to determine the effect that cannabidiol, found in cannibis, has on those with specific chronic diseases. Those participting in the study suffer from a range of ailments, including debilitating pain, HIV, seizures, kidney disease, epilepsy, and muscular sclerosis. Patient 1 – Suffers from kidney disease and HIV, and has reported having lower pain levels and a decrease in insomnia, 2 hours after administration. This has been consistent over a two-week period. Patient 2 – Suffering from chronic pain due to spinal nerve damage following a near-fatal auto accident, fell during the treatment period and ended up having higher pain levels following that fall. This patient did not notice any dramatic difference in pain levels, due to the fall during treatment. Patient 3 – Suffers from pain due to multiple sclerosis, severe arthritis, and spinal surgery for disc pain. Patient reported that nausau was almost gone after using the chews, that spasms decreased, and that joint pain was reduced 70-80 percent. Patient 4 – Suffering from pain due to immune rejection of surgical rod from knee replacement surgery. Patient still has present infection and open wound, as well as pain caused by bone friction. Patient reported a 60-80 percent reduction in pain within the first 12 hours of ingesting the chew. Patient 5 – Suffers from pain due to being severely epileptic and having constant facial tremors. Experiences up to four seizures per week and has constant pain from spasms. Patient reported that seizures went down to one per week, spasms reduced to non-traceable levels, and that incidents were less intense and shorter in duration. Patient 6 – Suffers from pain due to multiple sclerosis, and is also diabetic and has high blood pressure. Daily pain is reported being down 4-6 points following chews and smoking. Cannabidiol has been demonstrated through other studies to help relieve such symptoms as inflammation and anxiety, to slow cancer-cell growth rates, to reduce symptoms of nausea, and more. It is a chemical compound that makes up roughly to 20 percent of the extracts from cannabis. Participants in the MedMar Healing Center research study receive a specific amount of CBD that is taken 1-3 times per day. They are responsible for accurately documenting any changes, such as how they feel, three hours after taking each dose. This is one of several independent studies on CBD that are taking place around the country, but MedMar is the only one focusing on using the “Veda Chews,” which consist of 30 mg of CBD, 30 mg of THC, and 30 mg of THC-A. The chews offer a high dosage of CBD with a low dosage of THC, which is the opposite of what is most typically seen on the medical marijuana market. 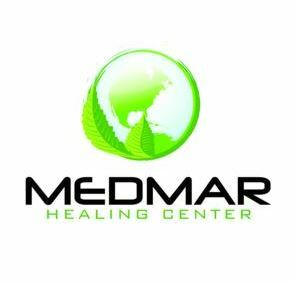 MedMar Healing Center is located in downtown San Jose at 170 S. Autumn St., provides a full range of medical marijuana products for Prop 215 patients. Those interested in participating in future studies like the current one can send an email to press(at)sjmedmar.(dot)com. For more information about MedMar Healing Center, visit http://sjmedmar.com, or call (408) 385-9600.